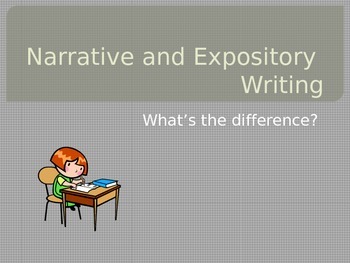 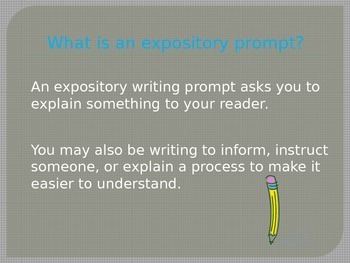 This PPT introduces students to the two types of writing prompts given on 4th grade FCAT writes. 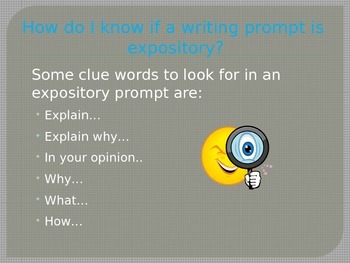 It helps them to analyze the prompts, look for clue words, and decide what type of prompt they are being asked to respond to. 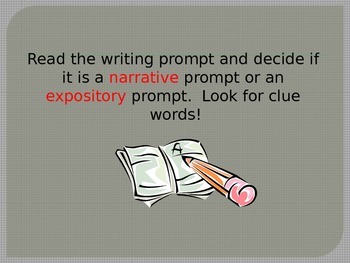 Great to introduce narrative and expository writing or as a review right before the big test!